The Fall issue of the Municipal Leader is always anticipated as it is the first glance at the lineup for the AMM Annual Convention. This year’s edition is no exception, and our theme, “Strong Municipalities, Strong Manitoba” is exemplified throughout the rest of the issue as well. 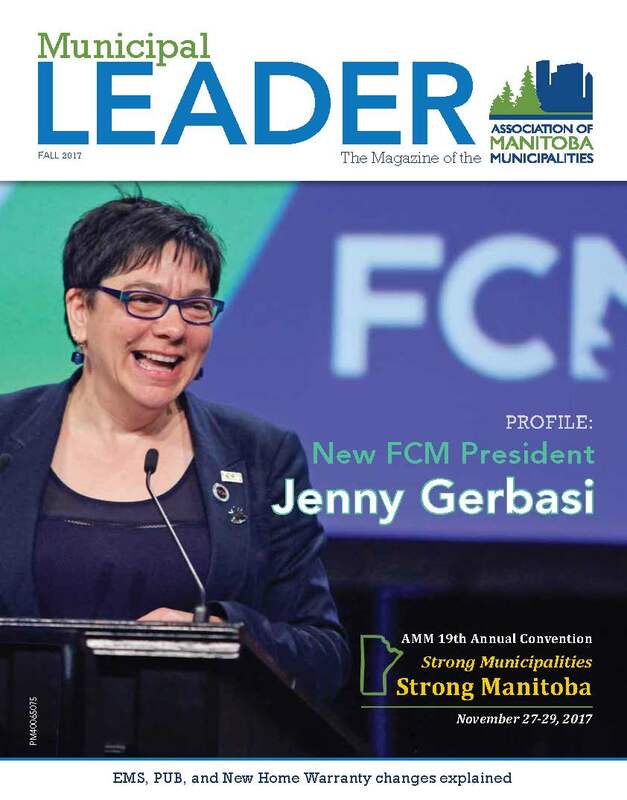 FCM President Jenny Gerbasi, councillor for the City of Winnipeg, graces the cover and shares her story. We also meet four new AMM Directors, share some terrific municipal stories, and explain some of the many changes and challenges municipalities are currently facing. From cannabis legalization across Canada to changes to EMS here in Manitoba, we’ve got it covered in Fall 2017.